According to a 2017 National Highway Traffic Safety Administration report, there were 6,296,000 police-reported vehicle traffic collisions in 2015. These accidents had a variety of causes, including speeding, distractions and drivers under the influence of alcohol. Auto insurance is required in the United States to cover the costs of damage and personal injury to those responsible, and those not at fault in car accidents. A policyholder can be denied coverage for an accident in some cases. If you are late on your insurance payment, file too many claims or have too many accidents and tickets, your insurance company can decide to cancel your policy and not cover you in the event of an accident. If the policyholder has a lapse in payment, she is essentially without coverage, and the insurance company will not pay for an accident she's responsible for. A lapse in payment occurs when the insurance company does not receive the payment needed to keep the policy in force by the renewal due date. Most insurance companies have a grace period for late payments. When this date has passed, however, the company will not pay for the former policyholder’s accident costs. If the policyholder does not have a driver’s license, or if the license has expired, the insurance company will not pay for an accident in which he's involved. Also, if the car is not registered, the insurance company will also refuse to provide coverage. It’s illegal to drive without a valid driver’s license or without the car being legally registered. If the license or registration is revoked or not renewed, this illegality frees the insurance company from responsibility for covering the policyholder's accident costs. 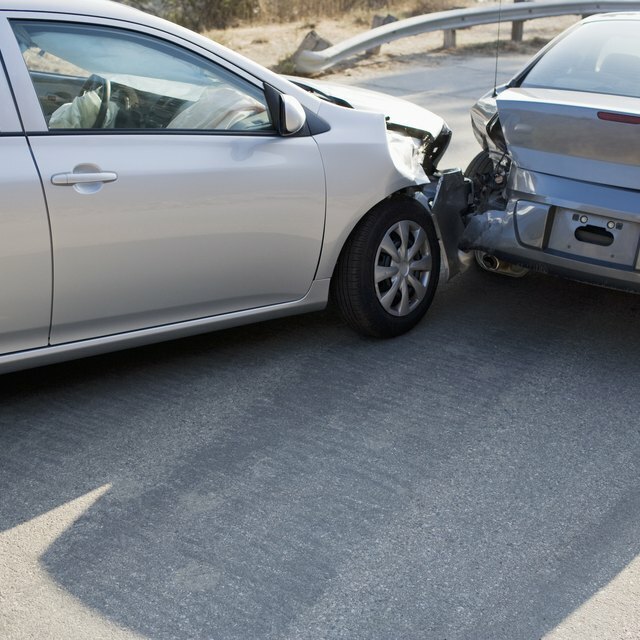 Excessive claims and accidents are two other reasons why car insurance won’t cover an accident. If the policyholder is determined to be the person at fault for numerous accidents, the lack of a safe driving record can result in the insurance company raising premiums or refusing to pay for future accidents caused by the policyholder. Likewise, an abundance of various convictions such as speeding or running traffic lights and stop signs, can also cause the insurance company to cancel insurance and refuse to pay for an accident. Does Insurance Cover an Accident If a Car Was Taken Without Permission? Are Dogs Hit by Cars Covered by Car Insurance? What Is Uninsured Motorist Property Damage? What Coverage for Car Insurance Is Required for Florida? Drivers who live in the policyholder’s house, but are not part of the family, are not covered if they have an accident in the policyholder’s car. This practice is designed to stop bad drivers from getting good drivers to purchase insurance for them. For example, if the policy-owner loaned his car to his brother-in-law, who subsequently had a wreck, the insurance company would not pay if the brother-in-law lived in the policyholder’s house, but it may pay if the brother-in-law did not live with the policyholder, depending upon your insurance provider's policy. The rationale is that the person who lives with the policyholder may drive the car frequently, which increases the chances of a wreck. Someone who does not live in the same house wouldn’t drive the policyholder’s car as frequently, which decreases the chances of an accident. After a car accident, the insurance company will pay for damaged items that are permanent fixtures in the car, such as the CD player, but not property that just happened to be in the vehicle. For example, a laptop on the front seat or golf clubs in the trunk are not covered by auto insurance if they're damaged. Upgrades to the car, such as a more expensive sound system or a spoiler on the back, also are not covered unless the policyholder modifies the policy in advance to include coverage for these added features.